Maria Candida Gentile’s Exultat was inspired by hearing a vespers service in the Roman basilica of San Lorenzo in Lucina: a candied violet steeped in church incense, embalmed in a cedar box, with an ample, expressive dignity and grace that is characteristic of the Italian perfumer’s work. Yet this ecclesiastic accord is also a throwback to more ancient Roman rites: the festival of the Goddess Cybele, imported from Asia Minor to Ancient Rome around 200 B.C. and celebrated from March 21st to 25th. It celebrated the death and resurrection of Attis, the Great Mother Cybele’s son/lover, a god of vegetation, symbolically sacrificed in the form of a pine tree, chosen both because as an evergreen it never suffered seasonal “death”, and because Attis had died under it after self-castrating (a practice reprised by Cybele’s followers during her orgiastic rites). The pine trunk was swaddled like a corpse and wreathed in violets, a spring flower said to have blossomed from drops of Attis’s blood. On March 24th, Attis rose from the dead to mark the renewal of nature: spring is a violent season in ancient cultures. If the myth of Attis and Cybele came to mind, it is because I recently saw a resurrection of an epoch-making 1987 production of Atys, a 1676 opera by Jean-Baptiste Lully, said to be the aging Louis XIV’s favorite, directed by Jean-Marie Villégier and conducted by William Christie with Les Arts Florissants. In this version, Atys is loved by the goddess Cybele but loves the nymph Sangaride, who loves him too but is betrothed to the king. The ancient goddess of the forces of nature, dressed like a Baroque Virgin, sings that she would rather be loved than worshipped, yet because of the hieratic staging, this call for love is deeply frightening: a reminder of what Cybele demanded of her priests in the Phrygian and Roman cults, the bloody sacrifice of their manhood… And indeed, Atys is the first opera in history to end with the hero’s tragic death. Violet Blonde by Tom Ford is one of last’s year most interesting mainstream launches – Tom Ford truly knows how to choose a scent with character. What he might not know is that this green, peppered violet and banana-jammy jasmine accord is divine not only because it smells lovely, but also because many Catholic saints have been said to give off this blend, in life or even after their death. Who knew Tom Ford was in odor of sanctity? Possibly the nuns in habit I saw at his counter in Le Bon Marché on Father’s Day: they were buying cologne for their chaplain. Geste by Humiecki and Graef may be a distant echo of the goddess Cybele’s unrequited love for the shepherd Atys in Lully’s opera, since it is meant to express the intensity of the love of an older woman for a much younger man. A blend of candied violets and dark, boozy, almost chocolate-y musk, with a metallic undercurrent and a weird-skin-scent vibe. Illustration: Stéphanie d’Oustrac sings Cybele in the 2011 production of Atys, directed by Jean-Marie Villégier. Amazing clip! Denyse, is the staging intended to recreate the original style, or is it re-imagined? To my naive American eyes, the dancer is like a beautiful alien from another planet - something out of Ursula K. LeGuin or Mary Doria Russell. Nozknoz, some of it is re-imagined or stylized, but I do know that the choreographer Francine Lancelot did an enormous amount of work on the Baroque ballet to recreate the style, which is very different from the 19th century's. The set and costumes also reflect the late 17th century theatre though I doubt they went for literal recreation. But what was striking indeed was the alienness of this different visual language: no one had seen anything like this in 1987. I was awestruck. Thank you for the wonderfull opera dose! I am a fan of opera but I never heard this one or its composer. I am also quite adept to Greek myths but hadn't heard of that particular one either. Exultat is the only perfume I know from the list and I must say it is true to its name. It is one of those perfumes that I can only describe as transformative. Its austerity is refreshing and empowering. What I wanted to ask you is if this is a natural perfume as I have seen mentioned in other blogs. Kostas, I was quite impressed by Exultat as well. However, though the brand stresses an all-natural approach Maria Candida Gentile herself acknowleged to me that she did use synthetics. You can't do a violet without ionones! And I did pick out some synthetics in her other fragrances, though it's obvious that the formulas use high doses of naturals. This production of Atys is an incredible fusion of the Avant-garde and the Baroque. For me Humiecki and Graef's Geste is the whitest, cleanest, purest, most celestial thing i have ever sniffed. You seem to get something a bit darker from this. Musks smell different to everyone. H&G's BLASK has a marvelously weird violet accord and if you can get past the "Green Bean" opening, The Unicorn Spell by LESNEZ is a beautiful violet fragrance. Chris, thank you for mentioning the Unicorn Spell. I hadn't aimed at being comprehensive but it certainly falls under the "uncanny violet" category. And of course you're right about the perception of musks. Funnily, when I met Laudamiel I mentioned as my favourite from the brand "the one with violet" because I'd forgotten its name. He couldn't tell which one I was talking about since to him it wasn't a violet at all! Violent violet, I adore it! So, one may argue that my compulsively wearing Exultat, this spring, has remotely, archetypally to do with the illusion of the cyclical return to life... Wow, one feels... immense! I generally enjoy natural perfumes for the feeling that comes from aromatherapeutic qualities and the way they fuse with skin but I am not a strict purist. I do however insist on being very specific about whether something is natural or not. I never thought Maria Candida is an all natural brand and I was surprised to see it mentioned as such in several perfume blogs. About the unicorn spell: why get passed the green bean effect? I think that there lies all the fun! I wish it lasted for ever! Kostas, I can't say that all-natural perfumes are my cup of herbal tea (but then, I'm not into herbal tea either). Oftentimes the unpleasant aspects of the oils can't be made to play nice, and as a result many lack structure, though of course I've also smelled good compositions. As for blogs stating MCG products are 100% natural, well... I can't speak for other authors and what they perceive in a blend, but the brand isn't entirely clear on this. 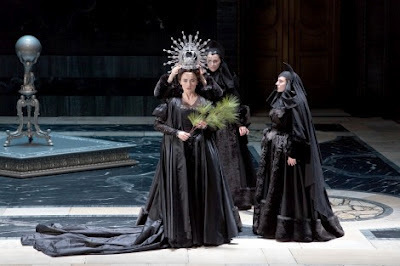 I saw this production of Atys when it was revived at BAM in Brooklyn this fall and was overwhelmed -- truly one of the great theatrical and musical experiences. 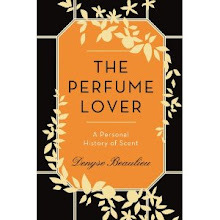 I love the scent of violets and am eager to try some of these perfumes. Thank you for posting the video! That was quite mesmerizing! And the story of the nuns at the Tom Ford counter...priceless! Jared, isn't that story with the nuns amazing? I'd have taken a picture but it didn't seem appropriate. If I ever get to meet Mr Ford I'll certainly be happy to tell him! Thanks for sharing the link about Atys. I'm a moderate ballet/opera fan, but particularly interested from the aspect of seeing a [guesstimated] recreation of baroque ballet - studied 17th century French history in grad school! 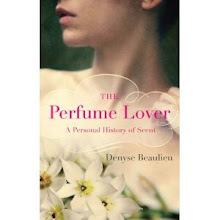 Denyse, I agree with you about natural perfumes. I too think that even the most common essential oils used in perfumery have unpleasant facets (Ylang comes into mind and I have tried several qualities of extraction). I do however think that natural perfumers don't lack in talent but have to work with materials of a lesser quality than the big companies. This becomes very obvious with specific materials like patchouli that in natural perfumes it is very easy to recognize as it always stands out with the typical hippy musty "grass" vibe. This seldom happens in mainstream perfumes and in my opinion it is not because of other ingredients used but simply because of the extraction and treatment of the oil itself. This rough quality you mention has become a synonym for natural although, in my opinion, it doesn't have to be. There are examples of natural perfumes from brands like Guerlain or l'Artisan Parfumeur that you wouldn't know they contain no aromachemicals if no one told you. In the case of Jatamansi in particular I am guessing the Nard had to undergo fractional distillation so that only the musky aspect was kept and the fishy-musty element that seems impossible to mask was left out. So in general I would say that it is possible to have a good structured perfume with only natural means. Now if it is going to possess the tenacity we have come to expect from our fragrances is another matter. Susan, the choreographer did work on the codes of 17th century dance, and the director worked in the court rituals of Versailles during the period. So that even though this wasn't an archeological reconstitution, it had amazing historical value. Kostas, I agree it's not necessarily a matter of talent, and that one of the handicaps of natural perfumers is that they can't access the better quality materials and fractioned distillations. However, I also think that the fact most are self-taught also bears on this: the training perfumers undergo at ISIPCA and in-company schools is a steep learning curve, but re-doing this journey pretty much on your own is that much more difficult. I realize many natural perfumers would say they are not attempting at all to reproduce this approach. But still, it's an added hurdle to producing scents with a well balanced structure. You get more and more brilliant. Anonymous, that's kind of you to say. I feel a special affinity with violets. as a February child, it is my birth flower! My favorite violet is not a violent one - it's Parfums de Nicolai Violette in Love. I like the interplay of violet, raspberry, pepper, and musk. It's very enjoyable to wear! But I would love to try Exultat; it sounds fascinating. Elizabeth, Violets in love is, well, lovely -- Patricia de Nicolaï is very adept at interpreting classic notes in an elegant way. Off to the land of Diorissimo!